understand all phases of your plumbing project, and the accompanying issues of staging and on-time delivery. 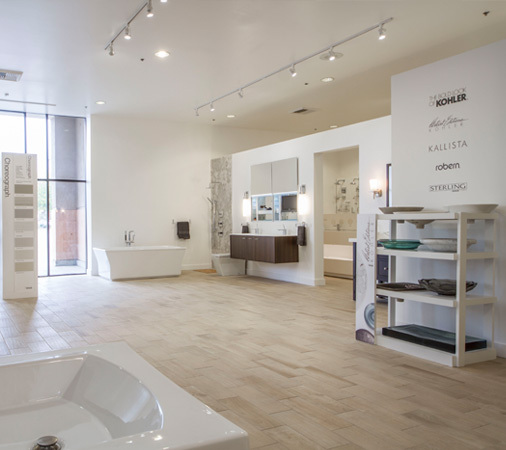 Featuring over 5,000 sq ft of innovative and working displays from the classics to transitional and contemporary we offer products for every style and budget. The decorative plumbing product list is constantly changing. It is our job to stay on top of the trends and display the most current & reliable luxury products available. We have invested in a state of the art showroom with many working displays, in order to provide you with the opportunity to see and touch a product before you purchase it. Our manufacturer relationships enable us to stand behind the products you purchase.